March 17's meeting will be held at the Blarney Bash tent at Metro Center. Please plan to help with movement of tables, chairs, etc. - and dress appropriately. Volunteers needed for the Blarney Bash 8-11pm shifts. According to Ron Morgan, we need 5 beverage ticket sellers and 9 servers for this shift. A few iPads with 3G/cellular service are needed for Blarney Bash. Please contact Bonnie if you can donate the use of an iPad for the day. Sara Ott is recruting Scholarship Committee members to help review and select our Club's scholarship application winners from the 3 Dublin High Schools. Claudia Trusty is seeking a couple of volunteer to help review and select Scholarhip application winners for the District Scholarhip award winners that our Club awards to high school seniors from within our Rotary District. Miracle League - we are seeking a volunteer to take over our Club's assistance with the Miracle League team that we sponsor. Contact Julie Rinaldi if you are interested. $20 entry to participate, and the winnings will be split 50% to the winner of the bracket challenge and 50% to our Dublin AM Rotary Foundation charities. 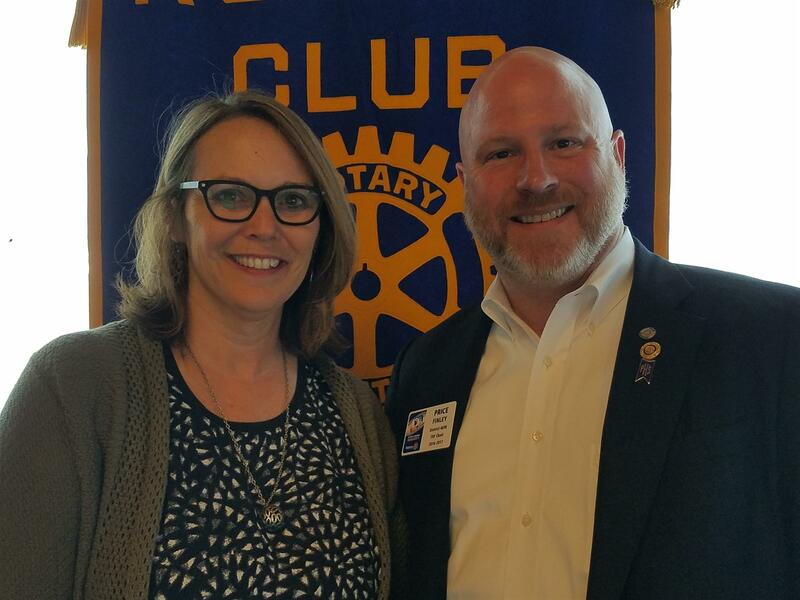 Price Finley, our District Foundation Chair, provided us an excellent presentation on the Rotary Foundation and Annual Fund. The presentation was a tremendous reminder of all of the work that Rotary is able to go across the global because of our charitable foundation. This year marks the 100th Anniversary of the Rotary Foundation. Two giving funds include the Polio Plus Fund and the general Annual Fund. A portion of our Club dues goes to the Rotary Foundation. The Polio Plus Fund has raised $1.5Billion dollars, resulting in 2.5Billion+ children being vaccinated in 122 countries. The results are amazing; the number of new polio cases has dropped from 350,000 per year in 1985 to just 37 cases reported in 2016. The Annual Fund allocated the donations as 50% to the global fund, 25% to District grants, and 25% to global grants. You can go to Rotary.Org to find ways to contribute to the Annual Fund. The Rotary Foundation is a highly ranked charity, earning 4 star and a perfect score by Charity Navigator and a #3 ranking by CNBC's "Changing the World" rankings, among other awards.